I made some adorable frayed flower pins for a special order (and for a special customer), and they turned out so cute! 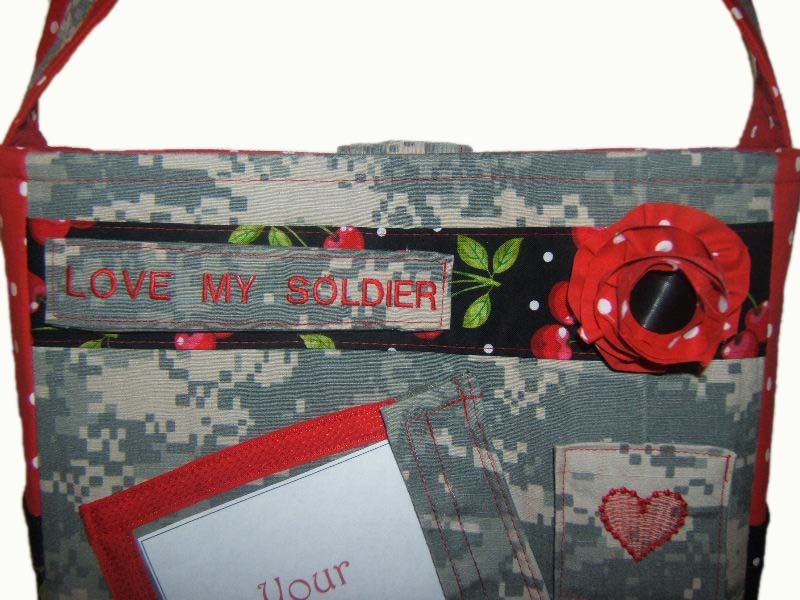 Here are some examples, but they can be made to coordinate with your own custom bag order. Pins are glued on, and can be removed for easy washing. Close up of flower detail. 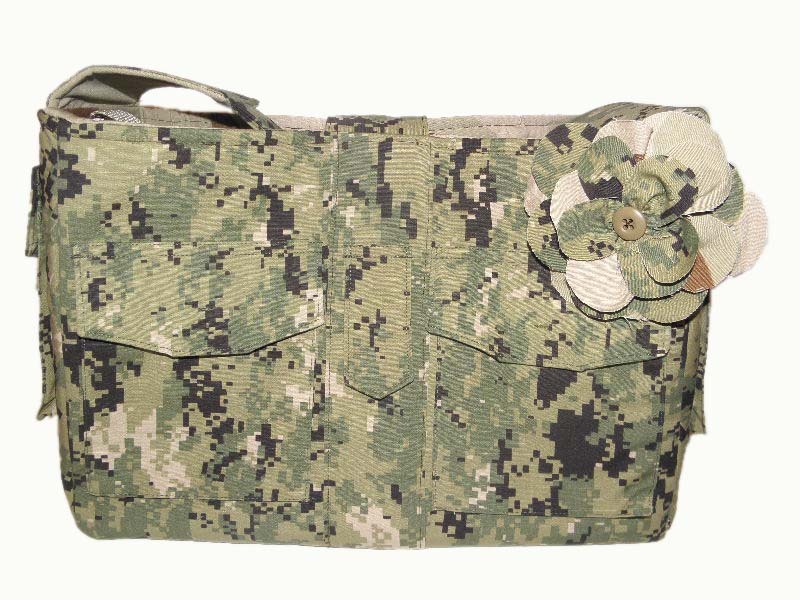 Example of flower attached to bag. Can be removed for washing. 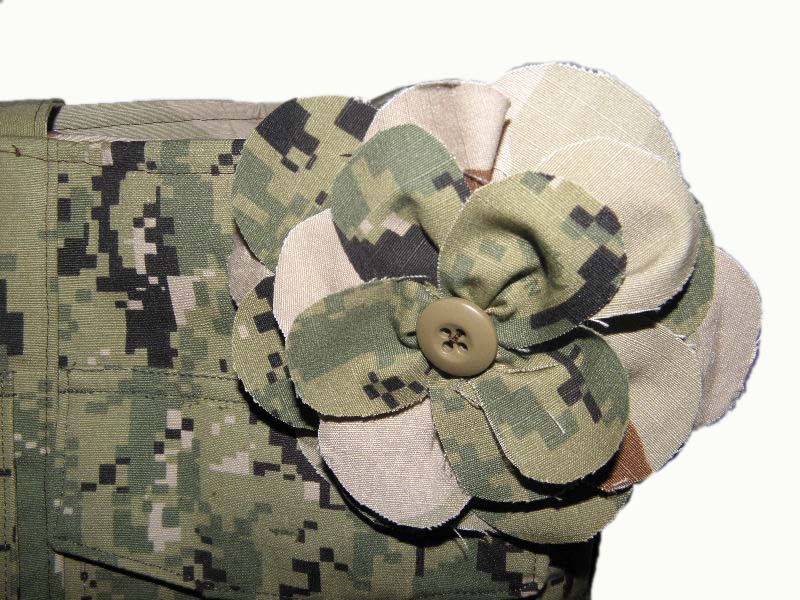 Two-color flower pin, made of two Navy uniforms, added to the front of a Navy wife diaper bag. 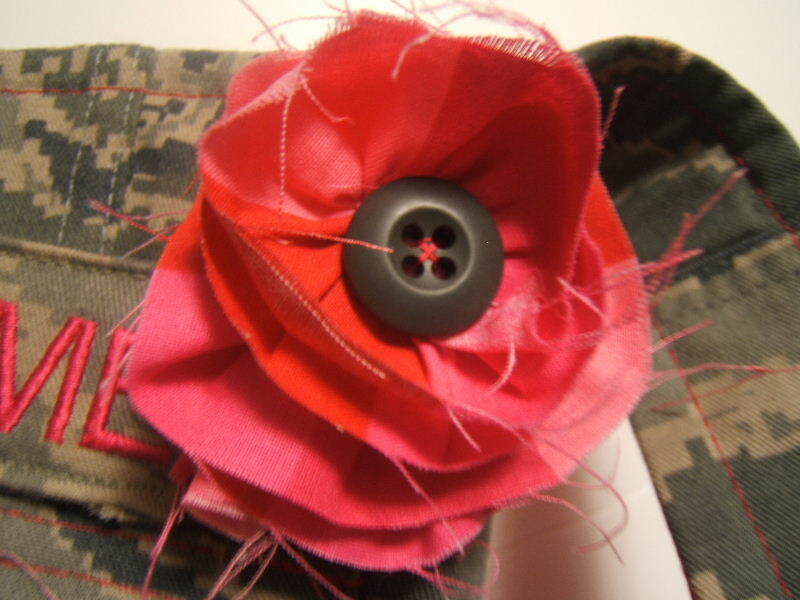 Close-up of two-color flower pin. 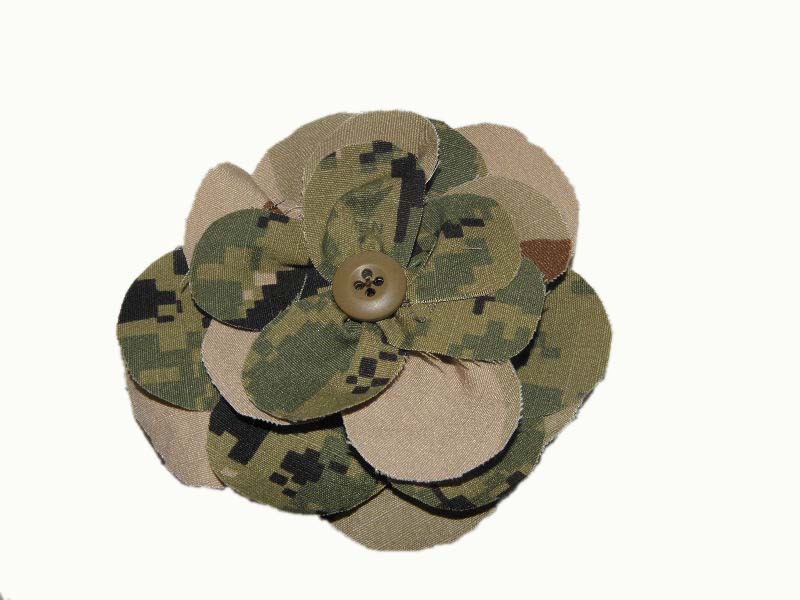 Two-color flower pin, your choice of two fabrics (uniform and lining color, or two uniforms, either one). Secured with uniform button.